Mid-size car sales increased 1.2 percent last year, proving that it’s not always about SUV’s. With summer road trips becoming top-of-mind, it’s good to know that the sedan is more popular than ever. This month BAHM takes a look at a couple of all-new four-door rides you must check out. Not only has that silly, smiling grille been toned down, but the Mazda 6 has a new swagger about it that pleases the styling palette of everyone we’ve talked to including us. Here is new sheet metal straight out of the wind tunnel with curves and creases all in the right place. The 6’s interior mirrors that of the exterior; sleek, flowing and almost elegant in nature. 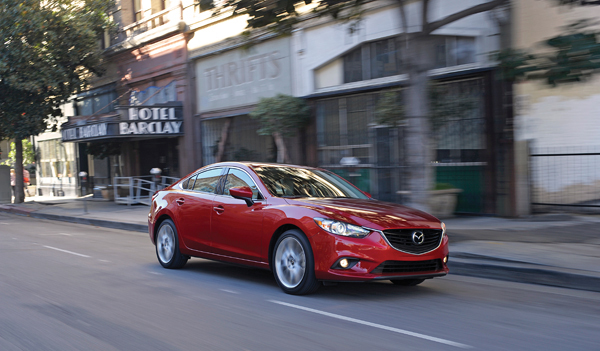 Just last month the Mazda 6 was named to Wards Auto Worlds 10 Best Interiors list. The naturally aspirated 2.5-liter I-4 feels like a powerful V-6 but gets a remarkable 26 mpg-city and 38-highway, is smooth through the entire power band and unbelievably quiet. Here is a car we’d love to take on a road trip. The ride is smooth on the highway, yet has a sport car-like feel around city corners. 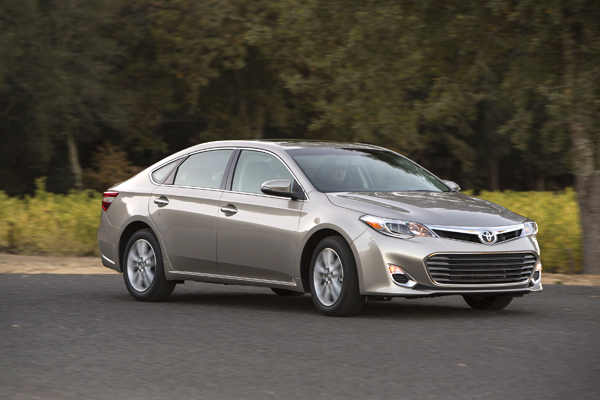 The completely new 2013 Avalon is proof that Toyota does have a pulse and can still build an attractive four door sedan that is relative to today’s buyer. Let’s face it; the outgoing model was deceased the moment it left the factory. What will appeal to those in the market for a full-size ride is that it smacks of all-things Toyota; tasteful styling, exceptional build quality, attention to detail and (we assume) years of low maintenance dependability. The dash’s multi-tier design offers visual appeal and functionality and touches on Lexus-style and beauty. Seating is nicely bolstered and comfortable, ready to absorb what few bumps make there way into the cabin. With the new design comes a stiffer chassis, which allows for better control and handling. This isn’t Grampa’s ride anymore. The Avalon is powered by Toyota’s stalwart 3.5-liter V-6 that quietly produces 268-horsepower while getting a respectable 21 mpg-city and 31-highway. Just as appealing is the starting price; $32.598. The fight for full-size Bay Area buyers just got a new heavyweight contender, the 2013 Toyota Avalon.